Learn in an easier and faster way with automatic driving lessons from a local instructor. Automatic lessons have become a popular option for learning to drive, passing the test and to get a full licence. Experienced automatic driving instructors in Doncaster offer expert guidance. They will show you how to drive safely with easy learning techniques for driving test success and to get on the road with good foundations of motoring. When learning to drive an automatic car with us you can expect positive, patient and professional tuition from an experienced local instructor. We have options for weekly learning and also automatic intensive driving courses for people looking to pass in a short time. People request tuition using an automatic car for a number of different reasons. Many of them previously had difficulties with changing the gears, using the clutch pedal or stalling the car leading to the holding up of traffic behind. Well, with automatic tuition these problems can be no more, as a learner driver you can fit in more naturally with flow traffic smoothly, easily and under better control easily. These cars have an automatic transmission system which essentially selects the correct gear for the circumstance. In addition, this system also prevents the engine from stalling when moving off and stopping. It is also easier to move off uphill. Whilst out on the road tasks like roundabouts, junctions and busy traffic situations easier to deal with. Have more time to focus on the road without having to worry about what gear you should be in, let the automatic car handle this for you. Relaxed training with no gears to change, stalling or clutch pedal. Build up your confidence on the road in a short time. Less learning time, less costs. Automatic cars are fun to drive. The practical test is much the same as a manual car test. However, after passing in an automatic your full driving licence will only permit you to drive automatic vehicles. Passing in a manual allows candidates to drive both. You will find plenty of fun to drive auto cars to choose from nowadays so passing with automatic car driving lessons in Doncaster often makes a safe sensible choice. 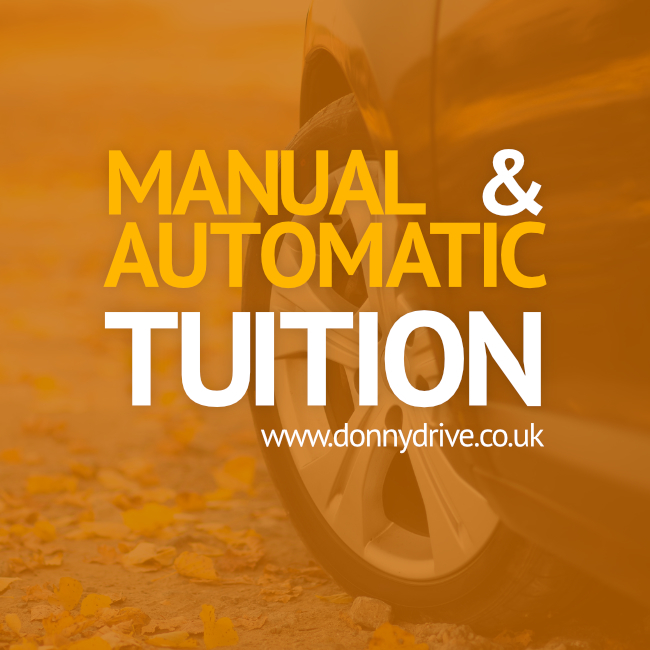 If your looking to get started with automatic car tuition with local driving instruction in Doncaster, or you have any driver related questions about any of our services, speak with our friendly team by telephone or email today.